I walked out on the film version of Julian Rosefeldt’s Manifesto (2016), earlier this year at the International Film Festival Rotterdam. The first time I walked out on a movie in ages. Instead I went to see a French political thriller that was just starting at that time, which I ended up writing about too. Manifesto was too much. Too overwhelming. Too tiring. This cascade of art (and a few political) manifestos from the nineteenth and twentieth century, all delivered one after the other by Cate Blanchett in various guises, roles and settings (in thirteen segments). I couldn’t take it all in, and felt like I lacked context for all the speeches she delivers. Because not only are they recontextualised by Cate Blanchett delivering the manifestos in a variety of ways, the sources for the speeches in each segment are not credited in the film. Or maybe they are at the end, but I didn’t stick around to find out. During each speech I saw during that half hour, I kept wondering where it was from and when it was originally written. Also, I wanted to have time to reflect on them, not have to move on each time to an art manifesto from a different time and place every five or ten minutes. So when the original art installation by Rosefeldt came to The Netherlands this month, I decided to attend to see if I could experience Manifesto in a way that suited me better. At my own pace, armed with a sheet that listed the sources for each segment that came with the ticket. And without the possibility of an exciting French thriller in a cinema near that would start about half an hour later than me entering the installation (which is where I went at the festival, and wrote about here). Did all this improve my experience and understanding of Manifesto? Yes and no. The installation is situated in a large hall, in which all the segments are presented on their own screen. Each screen comes with its own bench and its own sound. So I’m able to move at my own pace, but find myself moving from display to display after each is over fairly quickly. Hardly taking the time to reflect on anything. So why does this feel better? Is it simply the illusion of control I get from walking around and deciding for myself to take in segment after segment with hardly any pause? Just because I have the ability to decide for myself to watch each scene right after the previous one, does it become more of an interactive experience? It does feel less like Rosefeldt is dumping art manifestos on me, or at least it does during that first half hour. That little breather you get while walking from one screen to another makes the whole experience feel less tightly constricting than when it’s just you, one movie screen and total darkness. But no less overwhelming. In fact, in the end, the installation was even more overwhelming. Since all the screens are placed in one large hall, it’s impossible to experience just one segment at the time. In the corner of your eye, there’s always the screen next to it and the sounds from various segments bleed together from various directions. So each screen requires the utmost concentration just to take in Blanchett’s monologues, and in some cases the extraordinary locations. But the eye often wonders, and it’s very difficult to tune out the sound around you. So you’re almost always experiencing various scenes at once, even if you’re mostly watching and listening to just one. Very tiring and sometimes confusing. But at times it also adds to the experience. It does so specifically when, in each segment, there’s a part where Blanchett looks directly into the camera and delivers a speech in a monotone voice, sometimes at a higher pitch. Most of these are parts of manifestos that are instructional (do this, don’t do this, we believe this must happen, etc.). They’re all timed to occur at the same time in each segment, so when you’re standing in the middle of the hall, all of a sudden Blanchett is staring at you and addressing you from a dozen screens at the same time while all these speeches are even harder to seperate and digest. At this point, I’m back to feeling like Rosefeldt and Blanchett are dumping manifestos on me. But it feels more poignant. Since this timing cannot be a coincidence, Rosefeldt must be making a point here. In general, with all the manifestos bleeding together, and especially so during the direct address by Blanchett, it calls into question just how different all these various art movements throughout the century (and a half) really were. They almost all seem the same here. After a while the only difference seem the characters through which Blanchett delivers them, and the accompanying settings, costumes and accents. 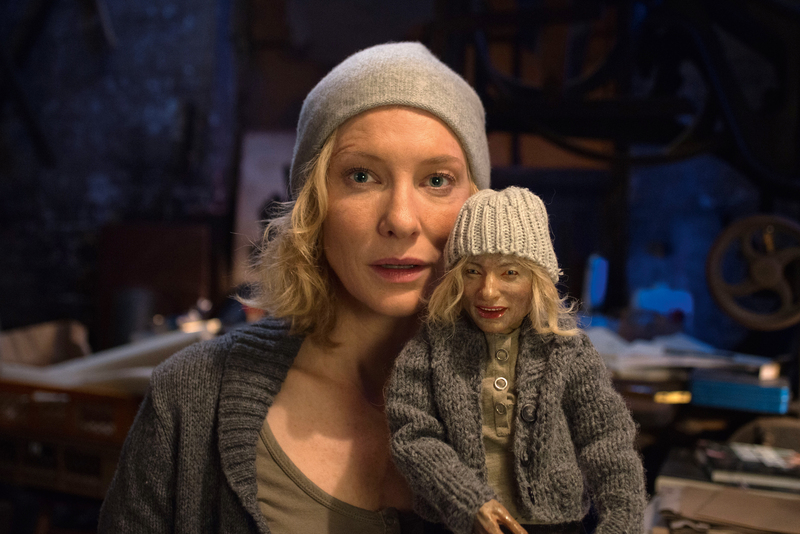 Which are impressive, and what I’ll take away from Manifesto above all else is that Cate Blanchett is a fantastic actress. Going in, I was hoping to be able to distinguish the various speeches and movements they were presenting more than I was able to with the feature film at the festival, but the opposite happened. Having a list of sources for each segment didn’t to help to differentiate as much as I expected either. As it turns out, most segments contain parts from four or five different manifestos. Some are all connected to the same movement, like the surrealists, the structuralists or the futurists, but in other segments Blanchett combines parts of manifestos from different decades and continents. Knowing this did make me feel less helpless and mentally flailing about than the film did. But it also adds to the feeling that they’re all just similar and not all that meaningful. Is this the contextualisation Rosefeldt intended? An entire project on art manifestos to prove the uselessness of art manifestos? That can’t be right, can it? And what would that mean for the contextualisation of art that these manifestos themselves were supposed to provide? Is art better off without contextualisation, if these contextualising manifestos are all the same and meaningless? Would I’ve been better off without getting the slight contextualisation for Manifesto from the list of sources? I don’t think these are the messages Rosefeldt tries to convey, even though his presentation of all these manifestos certainly comes across as a critique of the manifestos. Rather, its the selfimportance and righteousness of most of them that are undercut by this presentation. This certainly is the case in the segments that have some fun with the manifestos, like when Blanchett is dressed up as a homeless man for the most political of the segments, when she delivers a Pop Art manifesto as an American, conservative Southern mother saying grace before lunch or, in the best bit of the entire Manifesto, when the rules of Dogme ’95 are presented as homework corrections in an elementary school class. More than anything, with this recontextualisation Rosefeldt makes all these definite, supposedly meaningful, assured statements of intent and meaning seem slippery and difficult to define. Calling into question both what we think we know about art present and past, and what the artists themselves thought that we had to know upfront before taking in their art. Proving that context of art can be blinding and constricting, but at the same time does matter and is necessary for interpretation of art. Or at least that’s my own interpretation, that comforts me as a critic and as someone who put the wordt contextualisation in the mission statement of this very website.